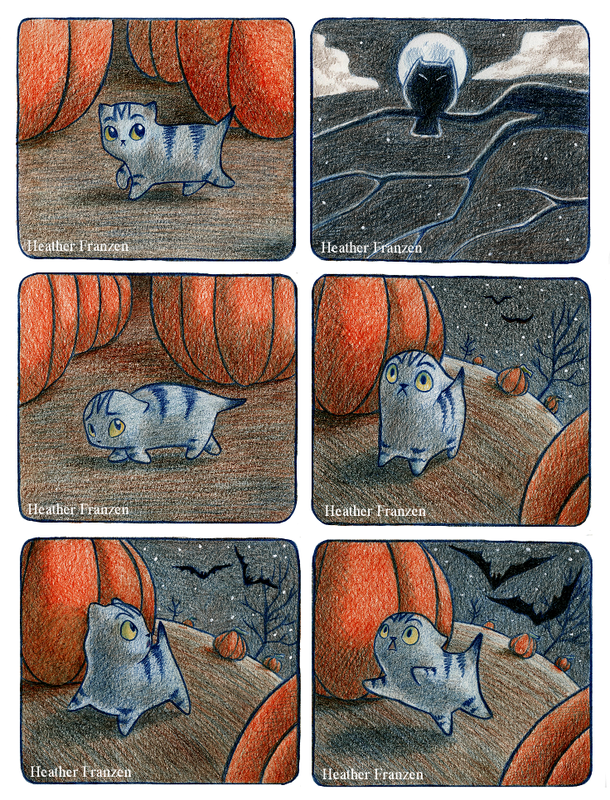 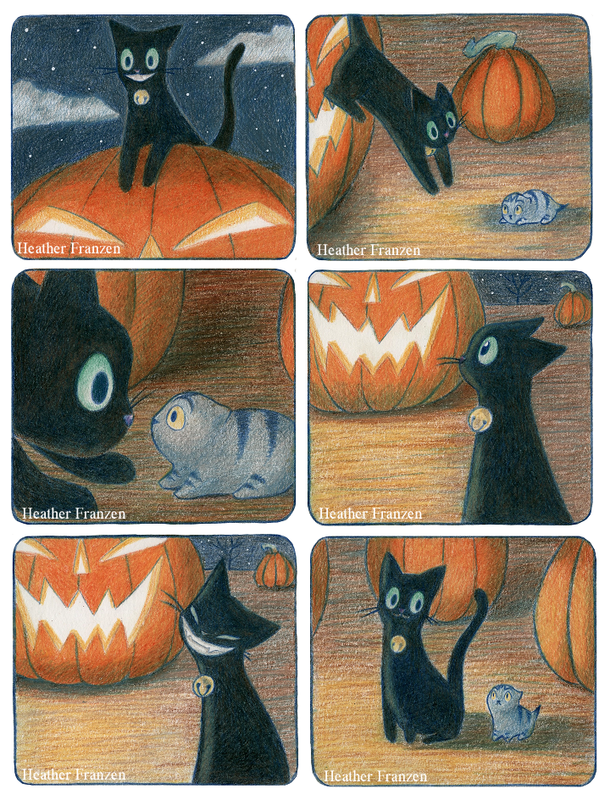 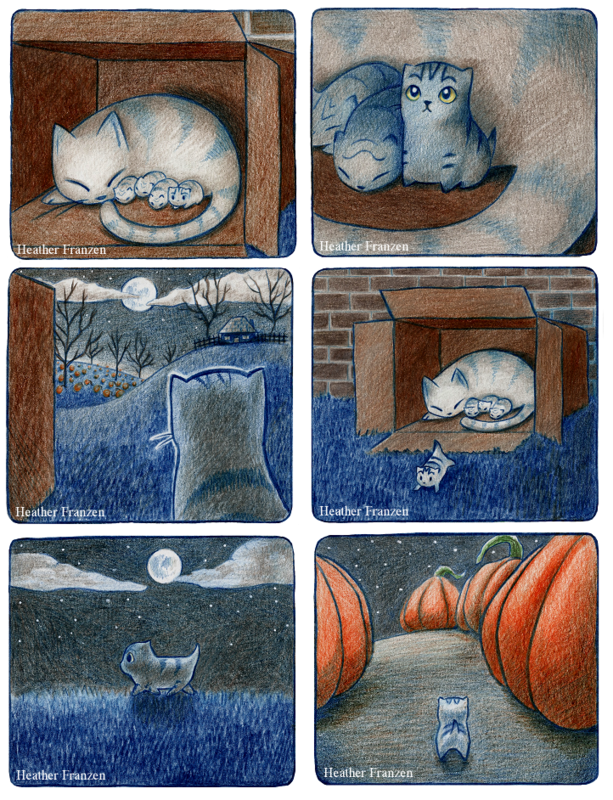 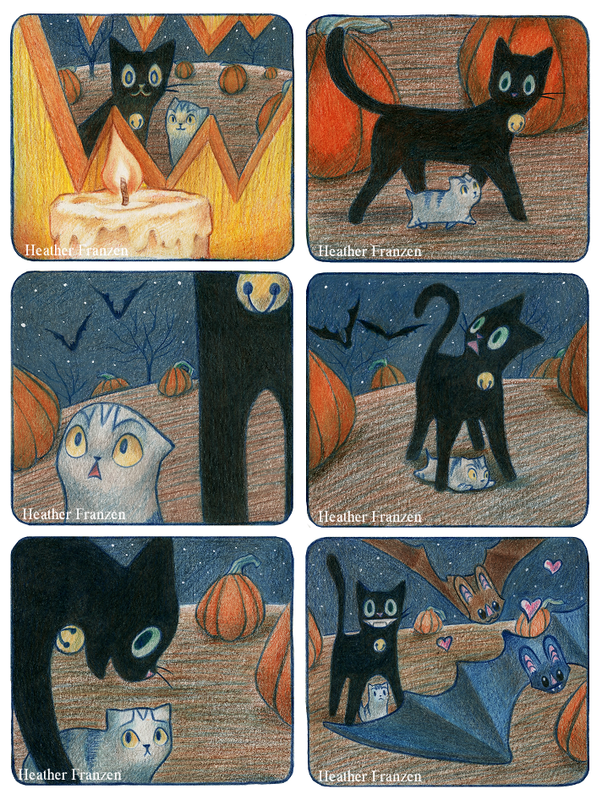 On a dark night, a little kitten curiously wanders into a pumpkin patch. 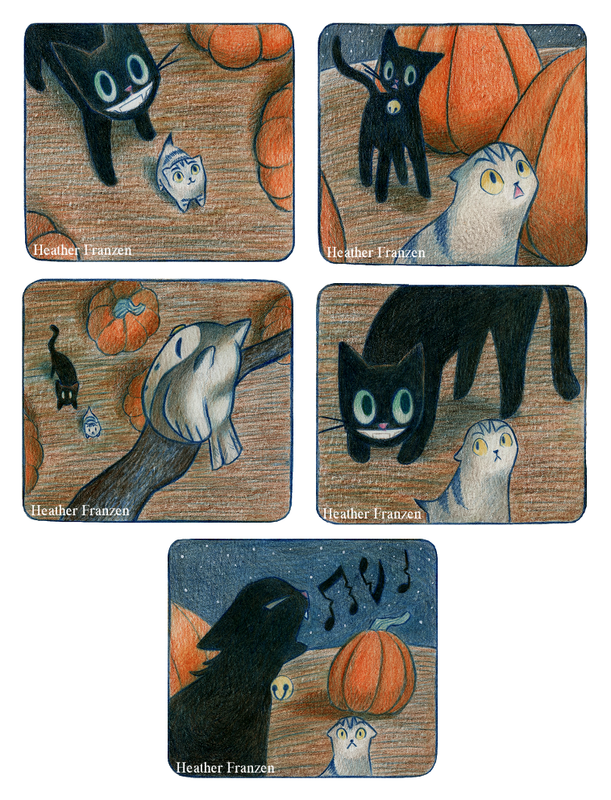 He soon becomes scared of the pumpkin patch's inhabitants and wishes to return home... Luckily, the kitten meets a friend who teaches him that some things are not as scary as they appear to be. 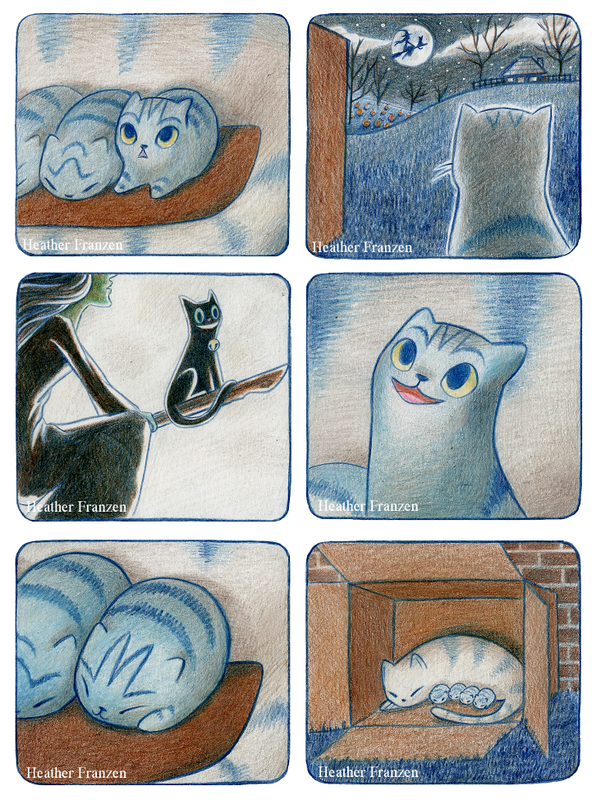 Scaredy Cat has no text, giving readers the freedom to create their own narratives and interpretations.